Trung Tieu, 40, and Tihn Tran, 56, were caught at Nashvillle airport. If the four oversized checked bags don't give you away, the drug sniffing dog will. 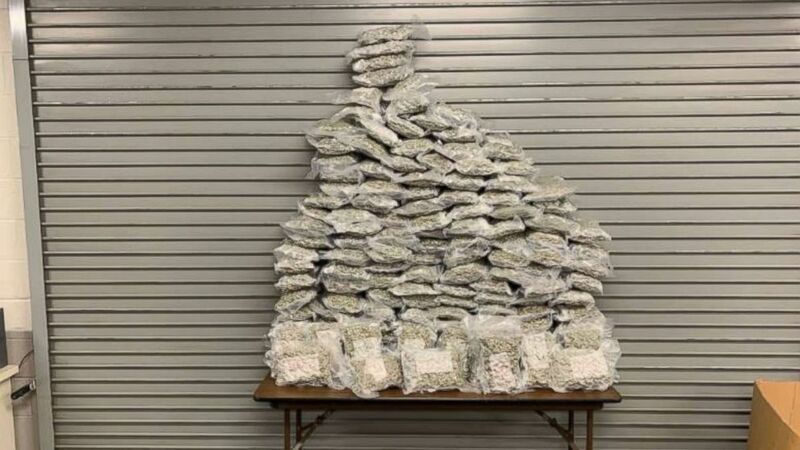 Two men found that out the hard way at Nashville International Airport this week when they allegedly tried to smuggle 159 pounds of marijuana through the city on their way to Jacksonville. Trung Tieu, 40, of Philadelphia, and Tihn Van Tran, 56, of Murphy, Texas, were busted when a drug-sniffing German shepherd foiled their plans of transporting dozens of plastic bags of weed. The duo even went to the extreme of trying to mask the luggage's smell with the "strong odor of air freshener," Nashville police said. (Metro Nashville Police Department) Metro Nashville Police found 159 pounds of marijuana in four suitcases at Nashville International Airport on Tuesday, Jan. 15, 2019. Two men were arrested on felony charges. Tieu and Tran were arrested Tuesday night. They are both facing felony possession of marijuana charges with intent to sell, according to court records. Tran was released late Wednesday night, while Tieu is still being held on $50,000 bond. Tieu is also being held on a detainer by Immigration and Customs Enforcement (ICE), and is therefore not eligible for release. 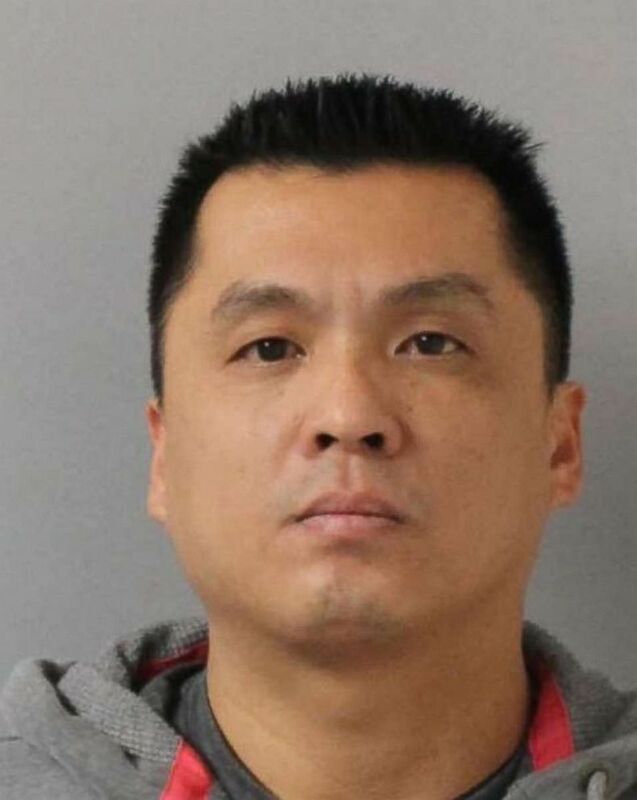 (Metro Nashville Police Department) Trung Tieu, 40, of Philadelphia, was arrested after police said he tried to smuggle 159 pounds of marijuana through Nashville International Airport on Tuesday, Jan. 15, 2019. 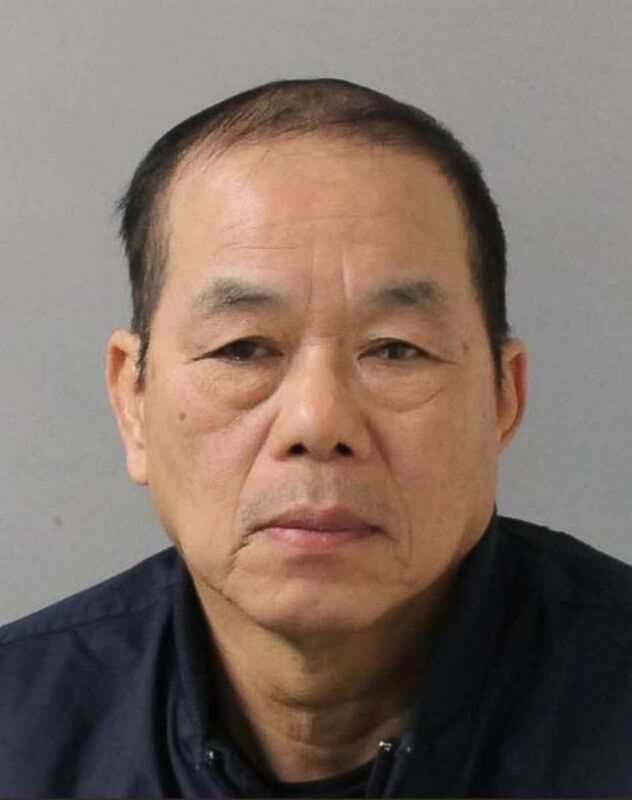 (Metro Nashville Police Department) Tinh Tran, 56, of Murphy, Texas, was arrested after police said he tried to smuggle 159 pounds of marijuana through Nashville International Airport on Tuesday, Jan. 15, 2019. Not only did the men have the four suitcases when they were stopped by police, but they also had cellphones that "rang constantly" throughout interviews with police. The men consented to police opening the luggage, where police said they found the dozens of bags of marijuana wrapped in bed sheets. The two men were making a stopover in Nashville after getting off a Southwest flight from Oakland. The United Nations Office on Drugs and Crime estimates a wide range of prices for marijuana in the U.S. -- from $20 to $1,800 per ounce -- but even at its low range of $20 per ounce the haul confiscated by Nashville police would be worth over $50,000.